We've always been fans of David Shrigley's dry sense of humour ever since we saw his show at Hayward Gallery. 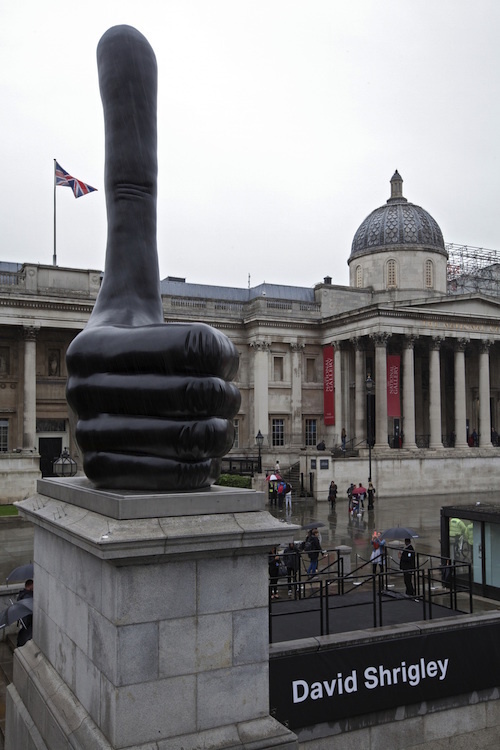 His latest work is a giant thumbs up on the fourth plinth at Trafalgar Square — and it's exactly what we need right now. Events such as the Brexit vote outcome, economic woes and global terrorist attacks have shaken many Londoners. This symbol is just the thing to put a wry smile on our faces. Shrigley's piece was submitted back in 2013, but now feels like exactly the right time for it to be unveiled.